The theme of the 30th edition of Futuro Remoto will be BUILDING. NaplesOctober 7th to 10th, 2016. The event is promoted by Fondazione Idis-Città della Scienza, University of Study of Naples Federico II, Regionale School Office Campania Region, in partnership with Campania Region, Municipality of Naples, Universities of Campania region, Research Centres, institutions, cultural foundations and business world. BUILDING means the will to streghten, create and activate social and cultural processes, for the realization of a democratic society for knowledge. Building relationships, building awareness, building participation, building partnerships, building communities, building new solutions, building health, building business, building innovation, building a change, building the future. 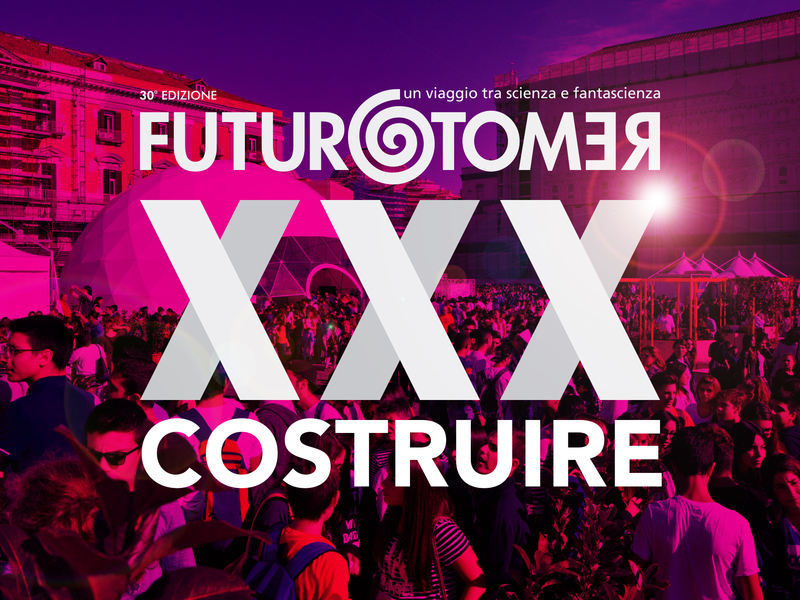 In 2016 – after the huge success of last edition, in the square symbol of the city of Naples, Plebiscito Square, involving the whole city and its universities, research centres and museums getting over 15.000 visitors – Futuro Remoto is back. In Piazza del Plebiscito, a rich program with important experts of science and culture. There will be a Science Village with 9 dome each one dedicated to a specific theme and a central stage for special events, shows and scientific demonstrations. - the Future of Food: the food of yesterday, today and tomorrow between science and society, history and tradition. Proposals for activities must be send through the call, according to rules. This year there is a special opportunity: there are 4 contests for universities, research centres, schools, companies and makers. More info on contests.